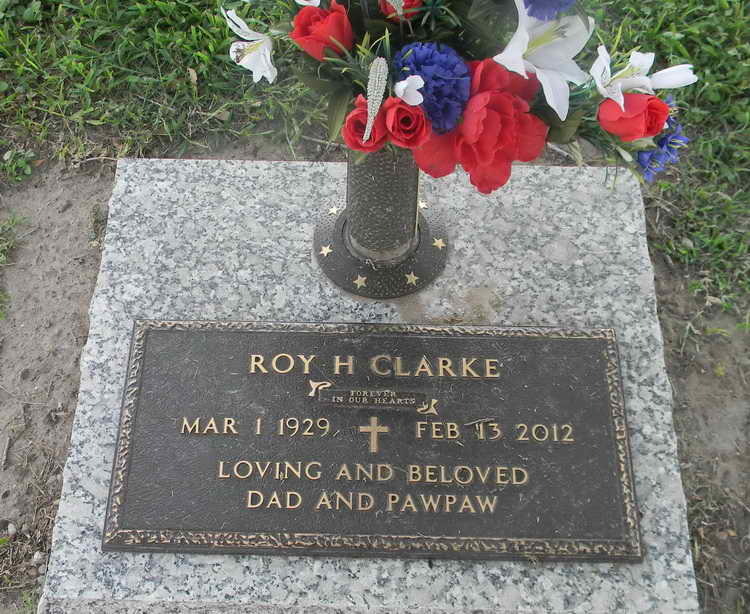 Grave marker for Roy H. Clarke in Memory Gardens, Victoria (Victoria county), Texas. 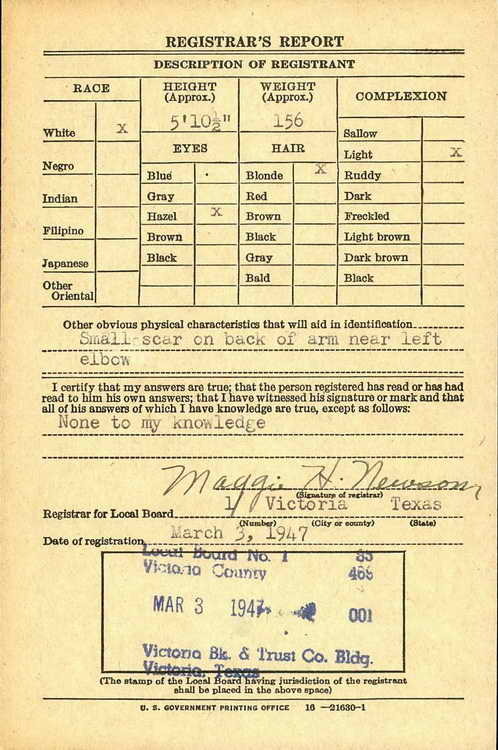 Roy registered for the draft on 3 March 1947 while still attending high school. 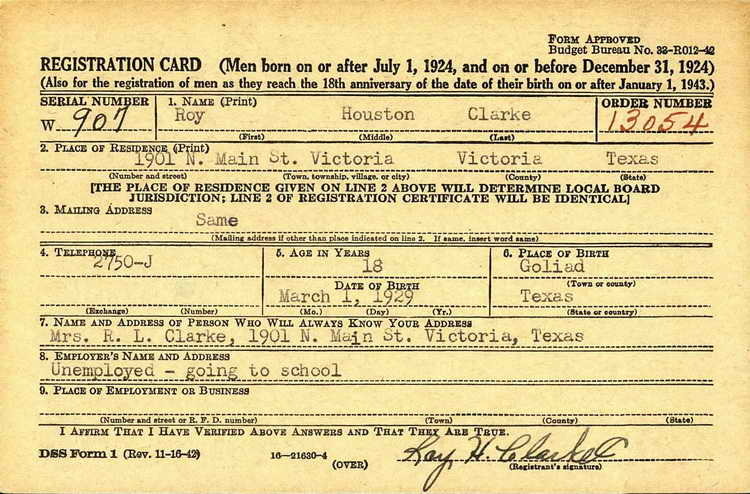 It was not until 12 January 1951 that he was called to serve and was one of 30 men inducted at Victoria, TX that day. Pvt Clarke graduated from jump school in July 1951 and was transferred to the 508th ARCT.